There are a few things that I really wanted to make ('just for fun') and those are a few Koeka-inspired textile items. Wrote about the brand here. The originals are just way too expensive for my budget. 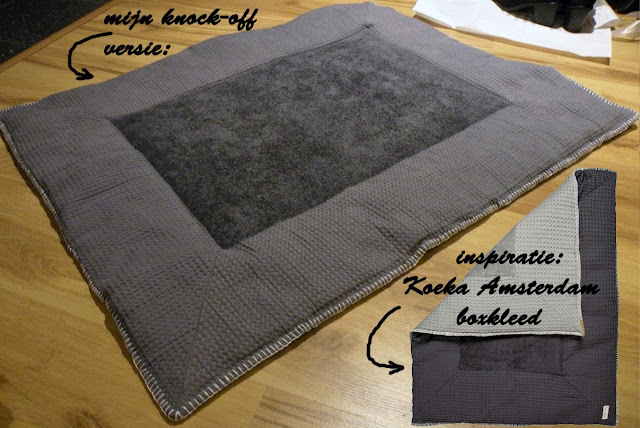 My inspiration for this knock-off was this Koeka playpen mat above (price: 65 euro's) The Koeka 'Amsterdam' playpen mat is reversible and has two sides with different colors. Normally, you don't need to use anything underneath the mat, but when the babies start to lift their head it is better to have something that is a little shock-absorbing... A friend's suggestion was to only use a simple layer of 4 cm mattress, cut to size, in combination with a few covers, but I also liked the look of the Koeka paypen mat and I also think it is hygienic to have an absorbing layer on top of the mattress, that you can throw in the washing machine. Instead of making a thick and reversible playpen mat like the original Koeka one I decided to make two separate ones. This way I always have one reserve if the other needs to be washed. Also, I could go with a cheaper fabric for the back lining. Anything store-bought item will shrink because they aren't prewashed. The advantage of making stuff yourself is that you can make everything to size if you work with prewashed fabrics. 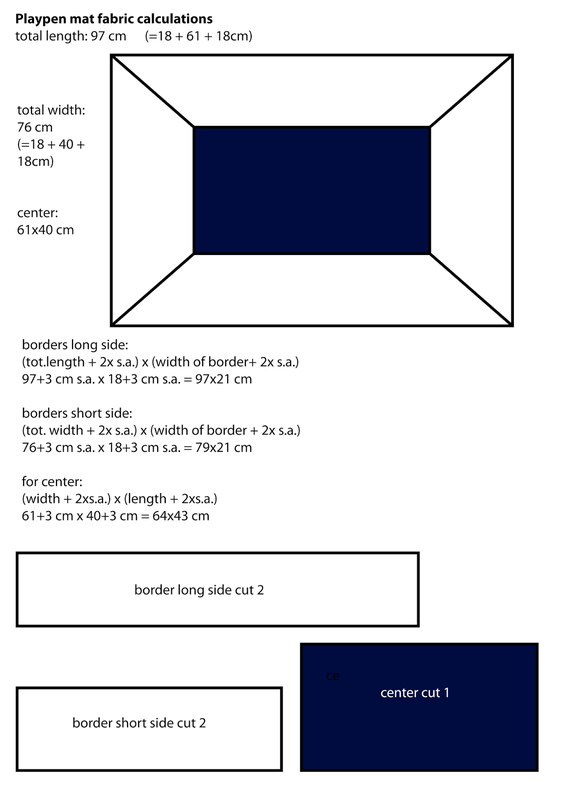 very important: calculate before cutting! I.m.o. it is better to cut rectangular pieces for the borders instead of cutting the edges angular right away, just in case the fabric shifts when sewing. For the back cut one piece, the measurements of the finished size + seam allowance all around. Sew the borders to the bathtowel center part. Make sure you reinforce the corners by sewing over a few times. Press the seam allowances towards the borders. Press the seams open after sewing. Turn the cover inside out and press the edges flat. Put filling inside and secure every corner with one pin. Flatten everything. Use a very small top-stitching around the center part on the waffle cotton layer to secure the back and front layers. This way you 'sandwich' the filling and prevent from moving around. Since pinning such thick layers is impossible, I used a thread to handstitch through all layers at a few places before machine sewing. 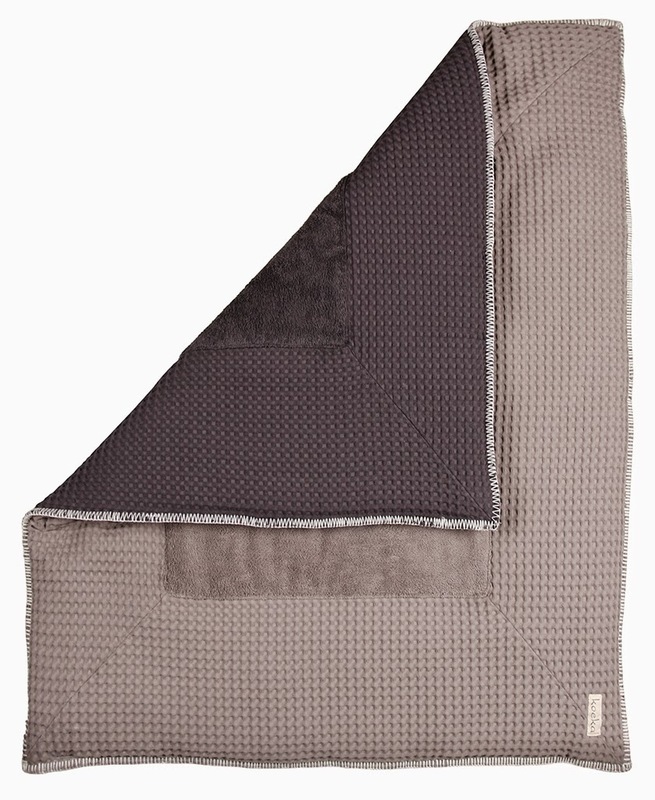 Embroider the edges with blanket-stitch and your beautiful playpen-mat is ready to use!